Happy Sunday IDontGototheGym girls! 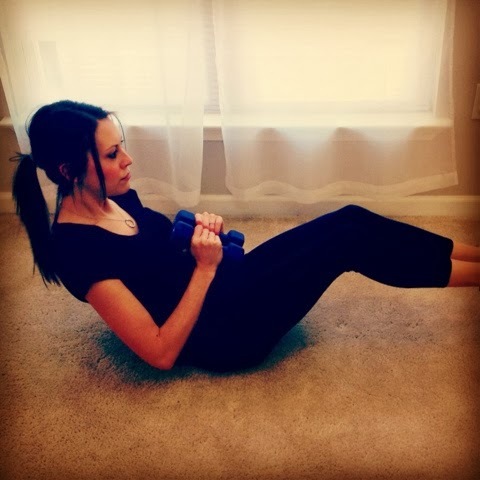 This week is all about our ABS, and more specifically our obliques. We have always been a little AB obsessed. We believe if the core center of our bodies are strong, the healthier we will look and feel. Join us this week as we twist and turn our stomachs and get Fit for Fall! P.M. Before you hit the pillow give us 50 more Russian Twists! Do this ultimate AB workout 2x a day! We are firm believers that AB'S are built 70% in the kitchen and 30% in the gym, so be sure to eat healthy this week! One of our favorite skinny substitutions is to swap out the soda, juice, lemonade, iced tea, etc. for flavored water! We are not talking about sugary, artificially flavored water but homemade fruit infused water. So this week we challenge you to stop drinking your calories and start drinking delicious fruit infused water! Feel free to get creative here too :) Some of our favorites include strawberry & lemon, cucumber & mint & apple & orange ... the possibilities are endless. Commit today and let us know if you're in! Love this! You make it sound so easy. Love ab challenges! Going to implement this in with the 25 Days to a 5 Minute plank challenge I just started.